Gunter Pest & Lawn is very proud to have the following non-profit organizations as clients. We often offer free, at-cost and majorly discounted services – as well as monetary donations – too many Kansas City area non-profits. As a family owned and operated business since 1950, we feel very tied to our community and the people who live here. We wanted to spotlight a few of the non-profits we support and why we love them so much! The vision of Happy Bottoms: to positively impact the mental, physical and financial stability of a family in crisis and need through diaper assistance, education, and connection to services. Happy Bottoms is a non-profit located in our Waldo neighborhood – just a few blocks away from our headquarters. We recently started treating their warehouse and office facility at a very discounted rate in the old Re-Store building – their new headquarters – at 303 W. 79th Street. We love partnering with local non-profits and do as much as we can to help save on pest control costs for non-profits — so their dollars can be saved for the causes they support! To date – Happy Bottoms has donated over 10,000,000 diapers to families in need! Click here to donate and learn more about volunteer opportunities. We love supporting this Waldo non-profit, located right in our neighborhood! 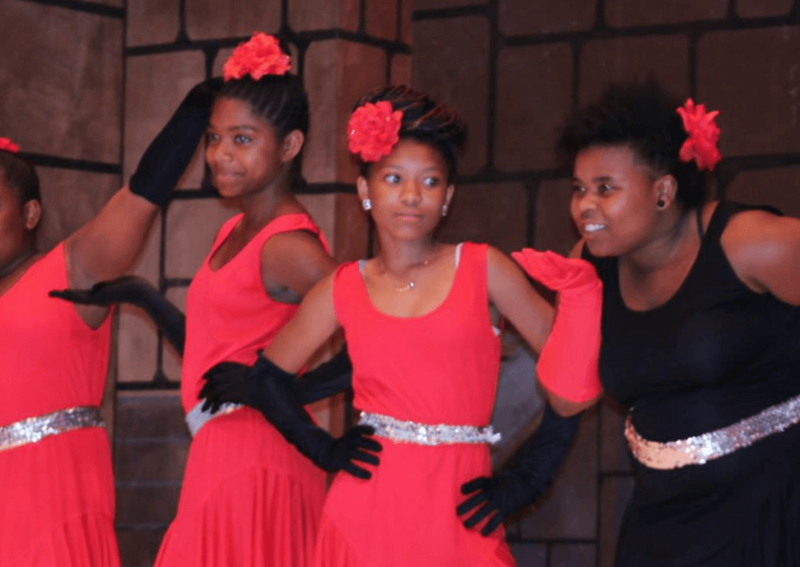 Many children in the Kansas City metro area have the dream to be a Dancing STAR! Emily Silverman did and was able to take dance classes during her childhood. She realized that not all children could afford to dance. She had big plans to offer dance to children with limited opportunities. Emily was unable to follow through with her dream when a car accident cut her life short. Her family continued her dream with Em’s Spotlight. The Silvermans are great friends of our Gunter staff – and Emily was even a friend of our office manager’s daughter, long ago. We have special ties to this family and love supporting this organization. Click here to donate or contact for volunteer opportunities. One of our employees and 4th generation in the Gunter line – Hayley Santell – is the president of this non-profit, so it’s a fun one for us to support! 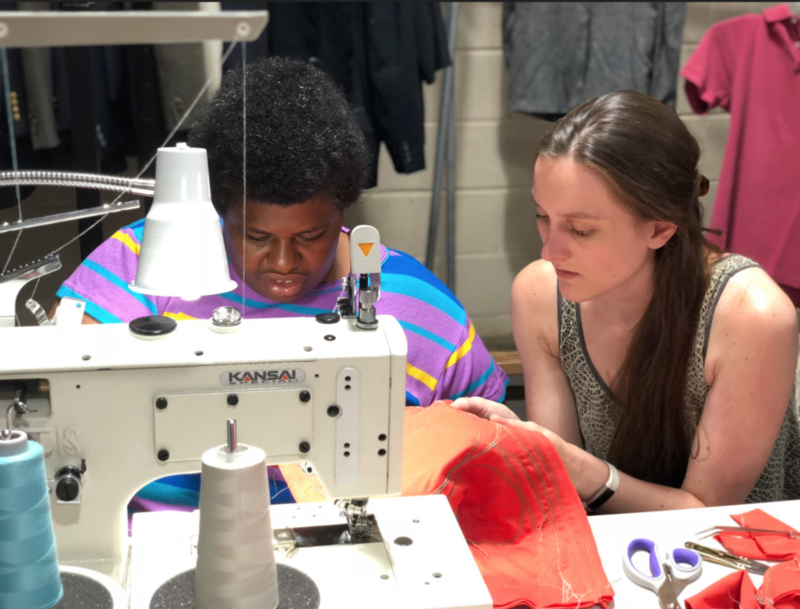 501c3 non-profit subsidiary – MADI Donations – recently launched MADI Makes, a seamstress job-training program for at-risk women in Kansas City. The MADI Makes program will help empower individuals to break cycles of chronic homelessness + unemployment and create pathways to self-sufficiency through a learned vocational skill. The goal of the program is to help at-risk women with employment barriers attain and sustain jobs and build a better life. Working in partnership with Hope Faith Ministries, the program will teach women to sew the donations pairs of underwear on commercial machines. Once the apprentice successfully graduates from the program, MADI Apparel (for-profit parent company) will hire the women to sew on a contract basis. Not only will apprentices learn commercial sewing skills, but also basic work skills, workplace interaction skills and other skills needed to build confidence and pave the way toward fulfilling employment in the community and the growing garment industry. We love supporting organizations that are close to our employee’s hearts. Hayley – daughter of President Jay Besheer – is a mentor in the Encompass program of Amethyst Place. “Traditionally, the leis include flowers, but the candy version is a simple way for us to honor this significant accomplishment,” Tiare explains. 100% of the women who take this exam will successfully pass it, thanks in large part to the volunteer tutors who support their journey. 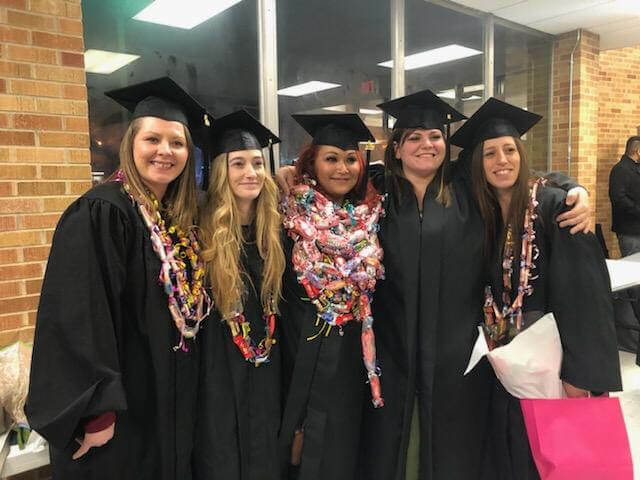 All five of the most recent graduates – Amanda, Mindy, Tiare, Clorissa, and Brittany – plan to attend college and join the 16 Amethyst Place women who are currently enrolled in college. Click any of the above organizations to learn more!